A merging of billionaire minds happened yesterday when activist investor Carl Icahn backed 2016 GOP front-runner Donald Trump. Trump Endorsed by Icahn Because the Country Needs to "Wake Up"
Just a few hours after Donald Trump held a press conference detailing his tax reform plan, Icahn told Bloomberg Politics that, while he didn't agree with everything Trump had said, the country needs someone like Trump to "wake it up." When asked if this was an "unofficial" endorsement, Icahn said "yes." Not 24 hours after Icahn endorsed Trump "unofficially," the famous investor released a short video on his website at 12:01 a.m. this morning (Tuesday) – his "official endorsement." The video clip lamented the U.S. government's lack of tax and immigration reform over the past 30 years. He then commended Trump, stating, "You want a guy like [Donald Trump]. Somebody who's not beholden to the establishment… We need a president that can move Congress, and I think Donald Trump could do it." Icahn had defended Trump's middle-class tax break proposal in the Bloomberg interview. 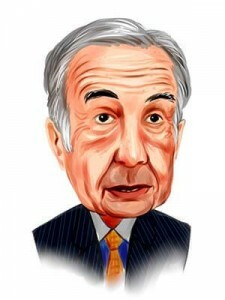 "The middle class guy who's making $50,000 a year realizes, 'I'm being taken advantage of,'" Icahn explained. "He can read. He can understand. Ya know, in czarist Russia, they had to have a revolution. And then the czars would bring out the machine guns and mow them down. All these guys have to do is vote." He also praised Trump for his stance on the "carried interest tax loophole" issue. This loophole essentially makes it easier for Wall Street bigwigs to avoid massive taxes on their earnings every year. Trump told Bloomberg Politics on Aug. 26 that he thinks this loophole is "ridiculous." When asked if his reform meant taxing himself even more, Trump said, "Well yeah, sure." Icahn fervidly agreed. In fact, he even went so far as to compare Trump to Teddy Roosevelt standing up to J.P. Morgan and its monopolization of the western railways. I turned 80 this year and in all my years I have never been so disappointed with our government. The people aren't interested in government or what's going on around the world anymore . I think we need a change in our policies everywhere from foreign to domestic. Getting people to be proud of what we can accomplish as individuals and how our government is a bright star again in the world. We need a president who isn't beholden to outside forces. Coming to mind is Ike, Reagan, FDR, and Truman. Does this make since?